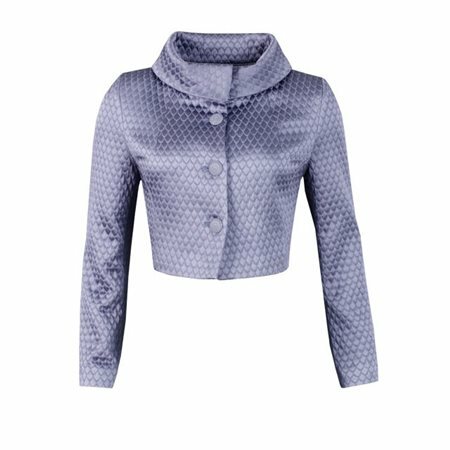 This stunning blue quilted jacket is a perfect way to complete your look this season - short enough to show off what youre wearing underneath and finished with a fabulous collar and exquisitely embellished buttons! A rather special jacket for any occasion this season. This stunning blue quilted jacket is a perfect way to complete your look this season - short enough to show off what you're wearing underneath and finished with a fabulous collar and exquisitely embellished buttons!